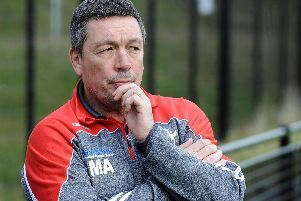 Sheffield Eagles’ close-season recruitment looks set to continue with director of rugby Mark Aston hinting at more arrivals for 2019. Eagles have signed 13 new faces as Aston revolutionises a squad which spent the majority of the 2018 campaign flirting with relegation. He has selected a group of young, talented players with a point to prove, whilst also recruiting individuals with the ‘Eagles DNA’ after old favourites Pat Walker and James Davey opted for a return to the Steel City. With Mike Weldon departing for Rochdale, Aston is looking at a 22-man squad, yet has previously stated he wants up to 24 players, leading to the possibility of more incomings. Following the signing of Brad Knowles from Featherstone Aston hinted he was still working on more possibilities behind the scenes. “The key is signing people early, getting the good feel-good factor and you never know there might be one or two still to come yet,” Aston said. Aston is also keen to avoid the vast overhaul of players that has dogged him in recent years. After two seasons of late recruitment due to the club’s off field uncertainty, Aston has moved fast this time around as he looks to establish a firm base for the club to grow once more, as he looks ahead to the future with the OLP stadium completion due in 2020. “Last season was about survival, now we have to build it,” he added. Meanwhile, former Eagles from recent seasons have been moving to new clubs over the past few days. Ex-winger Paddy Flynn has joined Rochdale, prop-forward Jack Blagbrough has switched from Leigh to York, whilst the Knights have also signed Perry Whiteley from Keighley.